Crawley Wasps lost to Arsenal 4-0 but won many friends as they showed they are ready to compete at higher levels on what was a huge occasion. A total of 1,550 fans packed into the Tinsley Lane ground which they rent from Oakwood. Crawley Wasps line-up their wall as Arsenal's Dutch international Danielle Van de Donk takes a free-kick. Crawley Wasps and Arsenal battle for the ball. 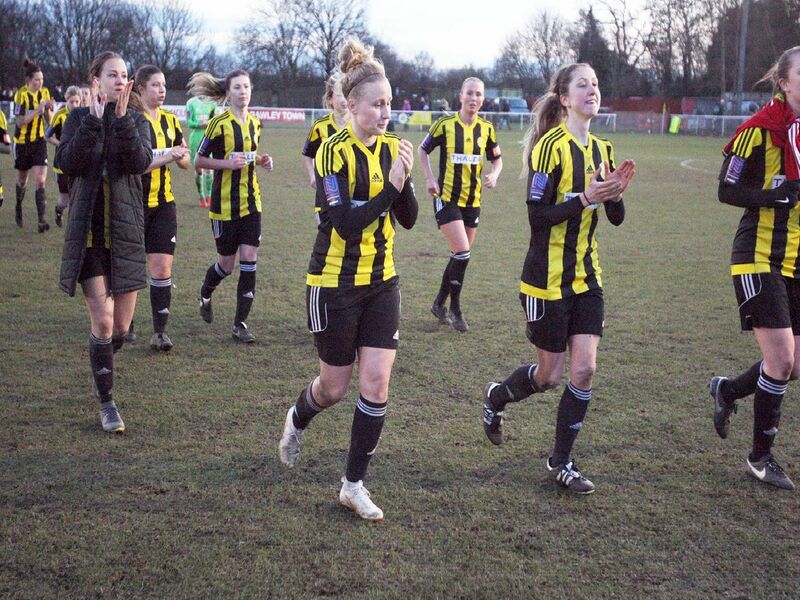 Crawley Wasps striker Sian Heather.